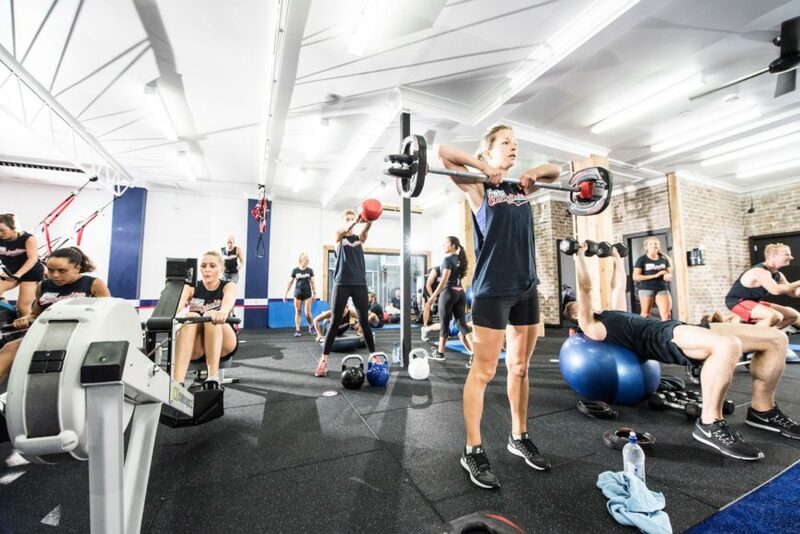 Just two years ago, Well+Good predicted that the Aussie fitness franchise F45 Training would explode in a big way. After opening hundreds of new studios internationally in 2018, and a new (major) investment from Mark Wahlberg and his investment group, it’s fair to say it’s well on its way to becoming the next boutique workout model to enter the mainstream, alongside Orangetheory, CorePower Yoga, and Pure Barre. Since we last caught up with its founder Robert Deutsch, F45 has sold 1,300 studio franchises around the globe—570 of those will open in the United States, according to Forbes. And this is just a warm-up: Deutsch says plans are in the works to expand everywhere from Canada to Europe to Asia in the near future. The 45-minute, team-based HIIT workout has more high-profile devotees (celebs like Hugh Jackman and Nicole Richie are fans), and class types rotate. There are currently 31 different workouts (buh-bye, boredom!) and each class has a name and focus: The “Gravity” class, for example, is focused on bodyweight strength training. The F45 signature combo of HIIT, circuit training, and functional movements is a part of each one. In 2016, F45 had a modest 20 studios in the U.S. Soon, there will be 570. And by the end of this year, “we’ll be in California, New York, Florida, and Texas,” says Deutsch, adding that F45 will soon be in 36 different states. F45 opened its first New York City location this spring in Flatiron, followed by a Brooklyn outpost in Williamsburg. And while Deutsch brushed off a recent report by the London-based outlet City A.M. that F45 would be going public, he also said there’s a chance. “It definitely won’t happen in the next 12 months. I don’t want to say in the next 24 months because who knows what will happen,” he says. One thing that is definitely happening? F45 locations on college campuses where the university is the franchisee. “We’re opening inside American universities, which has never been done before by any franchise business,” he says. “We just opened at the University of Texas, and we’ve got 12 operating campuses.” According to a press release from F45, another 18 universities are currently negotiating contracts to open college-run studios. 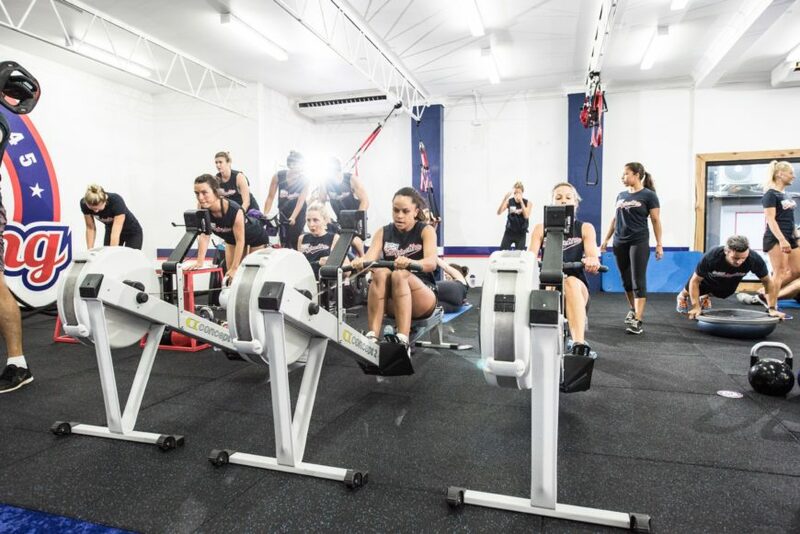 F45 studios feature heavily integrated tech: Screens are installed throughout studios to help class-goers stay on track, and they offer optional custom heart-rate monitors. The studio also developed its own heart-rate monitoring system, the LionHeart, which was introduced over a year ago. And based on the growth plans Deutsch has for F45, it’s fair to say that when it comes to his own goals, he’s following his own advice. Originally posted October 2, 2018, updated March 19, 2019. If you’re looking for yet another reason to pick up the weights, this study might convince you. And, find out why Lea Michele says exercise is about more than working that bod.